Currently (2017-19) we are working on a gardening project, funded by ‘Growing Green Spaces’ (York council money, administered by York CVS). This project aims to increase the number of volunteers actively involved in helping the park, particularly focused on volunteer gardening. The cuts in the council budget mean that there are no gardeners dedicated to the park, although the council crews come in to mow the grass, clip the hedges etc. This situation makes it clear that if we want a flourishing park, with colour and interest in the flower beds, it’ll be down to local people to make it happen. In 2017, we ran more than 30 gardening sessions, with dozens of volunteers helping. If you are interested in helping, please contact us on gardening@rowntreepark.org.uk – or come and talk to us when we’re out and about in the park! The Young Friends of Rowntree Park ran a poetry project with children aged 7-14 in the spring of 2018. The project was inspired by the book of the same name by Robert MacFarlene and Jackie Morris:“Once upon a time, words began to disappear from the language of children” – words linked to the natural world around them such as acorn, conker, raven, willow, and wren. “The words were becoming lost: no longer vivid in children’s voices, no longer alive in their stories.” The project aimed to connect children with nature in a creative way, and for them to create their own pieces of work to be shared and celebrated. Carole Bromley – published author, winner of the York Culture Award for Poetry and many other awards. Katie Green-Brown – ‘Best Performing Artist; in York Culture Awards 2017 and winner of a ‘Say Owt’ slam poetry award in 2016. Karen Hill-Green – Creative writing teacher, a California Poet in the Schools, previous organiser of Rowntree Park’s ‘Words from the Bench’ poetry project. The Words from a Bench project celebrated poems and prose written by local writers who have been inspired by nature and parks, and particularly the beauty of Rowntree Park. These pieces invited reflection and offer alternative ways to see the abundance of this lovely place. Originally the pieces were associated with laminated signs with QR codes, placed on benches, but this has been tidied away now. You can still see the pieces on the archive for this project. 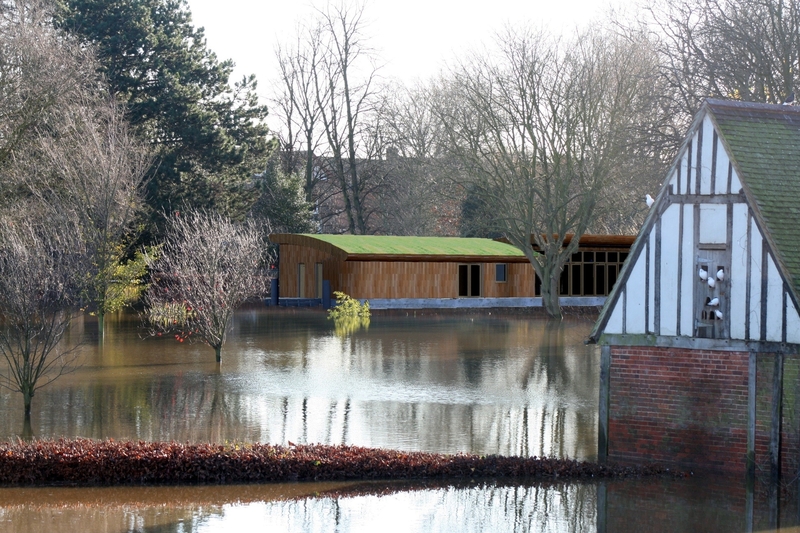 The Ark in the Park project aimed to build an amazing new pavilion, which floated when the park floods, but had level access for the rest of the time. The plans received planning permission but the Friends could not find sufficient funding. There is much more information available in our fact file. Proposed Ark in the Park, afloat; looking east. 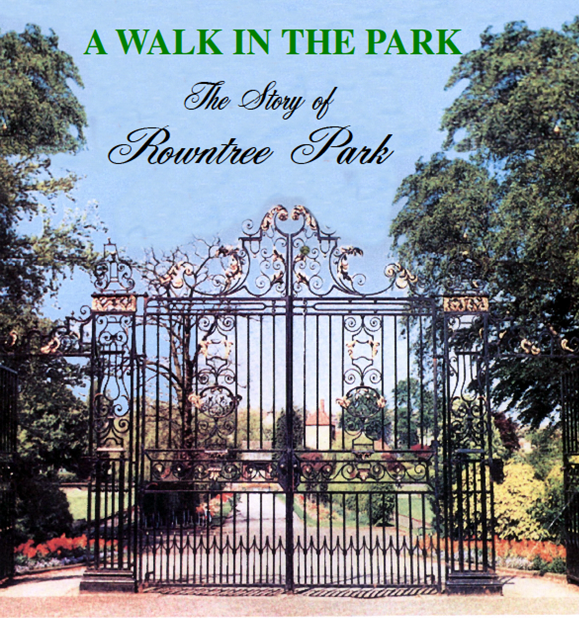 Chris and John Dowell published a history of the Park, on behalf of the Friends. It includes plenty of oral history from local people, as well as facts about the origins of the park, and its early history. Copies are kept in the city’s libraries, and further copies may be printed, if there is sufficient demand. 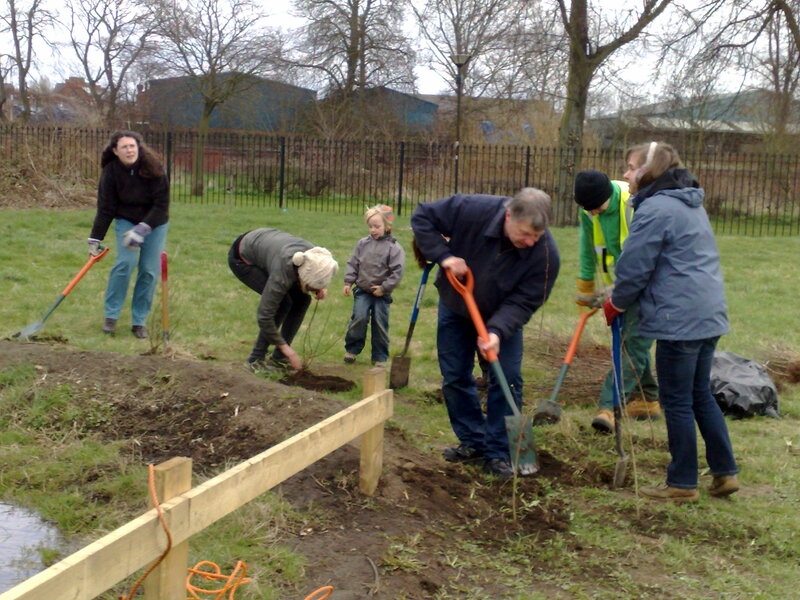 The Friends received a grant from the Two Ridings Community Fund, to create a wildlife pond in Butcher Terrace Field, which was carried out in 2012. Plenty of wildlife has been seen using it – birds, frogs, beetles, damselflies, dragonflies .. This links up with the improvements that the Friends made in the stream area, and the fruit trees that were planted along the edge of Butcher Terrace Field.